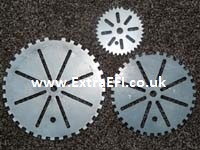 Welcome to EFI Extras website. Parts and Accessories for your Engine Management Installation. the widest operating temperature; -40[C] to 125[C], of any Wideband Oxygen Controller on the market. Oxygen Controller you can rely on. See HERE for more details on this fantastic wideband setup. For wiring info see HERE. See HERE. for the instruction manual. This is the Yukon version, so its the coil with an increadable high power output. It can be directly controlled with an MS3X ECU, or any ECU with a 5V spark output, as it has a built in Ignitor. 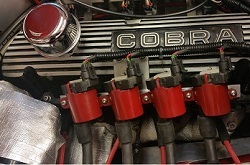 The coils come with a 250mm long (8mm) HT lead, meaning they can be mounted on the head, rocker cover, wing, etc, of an older or modern engine. Idea where the Pencil Type COP's can't be used as they don't fit. Supplied with the connector for the power / control, so everything you need. Logic level 5V signal to fire unit. 5V starts charging the coil, drop to zero volts and the coil fires. 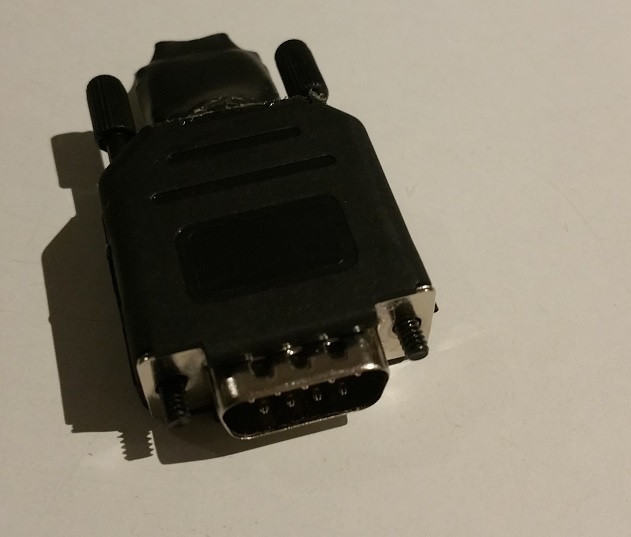 No modifications needed, it plugs into your db9 pin connector on the front of the MS ECU, giving the RS-232 port a bluetooth wireless capability. Fully configured ready for you to use the various app's on your Android phone or Android tablet to tune the ECU and to show dashboard info, etc. 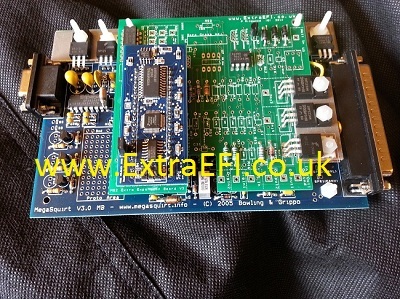 Suitable for any MS ECU except for the early V2.2 boards or those with a micro USB port. If you have a V2.2 then you will need to add a couple of wires internally to give the bluetooth unit a 5V supply. The MS1 has a different baud rate to the MS2 / MS3, so if you want to use it on an MS1 or another baud rate please Email me before buying and I will sort that for you. 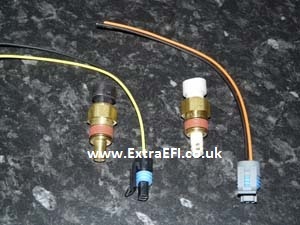 These are included with an ExtraEFI ECU, so you do NOT need to order one if you buy an ECU from ExtraEFI. 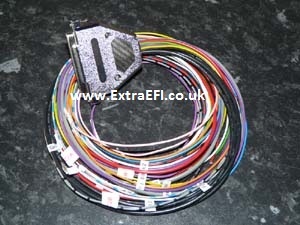 But if you need a wiring loom for your MegaSquirt, then these are supplied with bare ended wires ready for you to wire to your setups connectors. The looms are approx 1 meter long with a high quality, screened cable for the trigger signal and multiple 0.5mm ground cables for good noise separation. Each wire is colour coded and has a label with it's description on it that matches the ExtraEFI diagrams. As the wiring looms are made to your setup requirements, please contact me with all your details before ordering. The open style air sensor is ideal for fast changing temperatures from boosted engines. The closed style is ideal for coolant and air temperature sensing in most NA setups. The thread is 3/8" NPT. 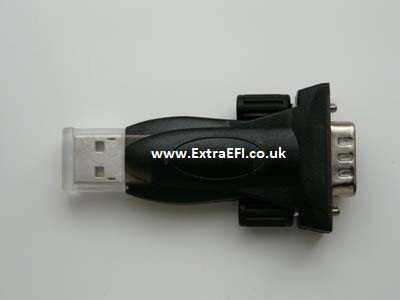 Having tested lots of these adapters I have found this type works fine on various laptops, suitable for all MegaSquirt ECU's. The driver is available here if you need it. See here on how to setup an RS232 adapter. This is the standard injector plug used on most vehicles using Bosch style injectors as found on Fords, RV8's, etc. Each item comes with a rubber boot and 2 crimp terminals for the cables, for best results are to solder the wire to the crimps after crimping. Wheels are lazer cut 3mm thick, 12.7mm diameter hole in the center and 8 radial aligning slots. 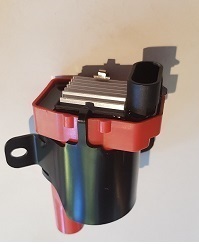 This is ideal for wiring the power to the fuel pump, idle valve, injectors, ignition, etc, so that your ECU controls powers them up with the fuel pump. This means wiring it into the fuel pump output, see here for a diagram. With 30A of control, it can feed most items that the ECU controls.